Plants improve your indoor climate, not only do they look beautiful but they actually remove pollutants from the air. Here is our new friend "Adorable Fennec". She would love to be your next gift to someone you care about. In most cases (except Sunday) we can deliver same day before 6PM (KST), but give us a call to make sure. Select your gift among our beautifully designed and hand made flower bouquets. Every single flower is hand picked daily at the local flower market and as long as it is possible we use only locally grown flowers. 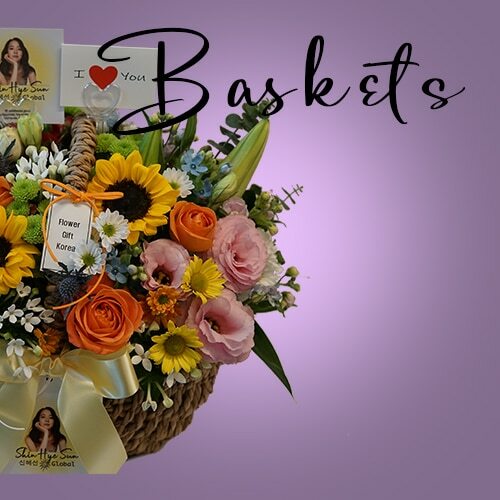 We have a wide variety of baskets and boxes with beautiful flower arrangements, candy and other delicious snacks. 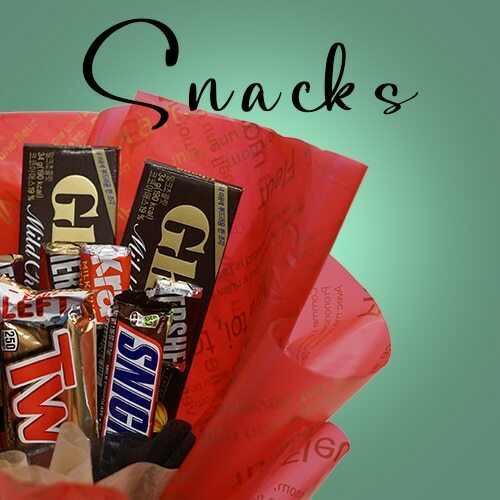 We use a selection of snacks from all over the world, popular candies and of course the same high quality flowers. A classic teddy bear or a cute penguin is the perfect gift to send with a beautiful bouquet of flowers. 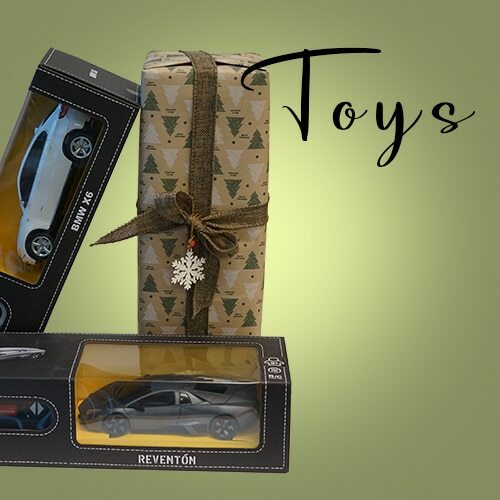 We have a variety of stuffed toys to suit most tastes and for those who prefer a remote controlled car or an electronic piggy bank, that is also among our products. For those with a sweet tooth, we can offer a selection of chocolates for example the popular Korean Pepero that is a mandatory gift on its own dedicated day Nov 11. Our snacks goes well with a beautiful rose bouquet and a cute teddy bear. Excellent service!! They will work with you according to your needs, ordering is very easy! Most importantly, they will give you good advices and deliver your order on time. Thank you very much!! Highly recommend Flower Gift Korea! There staff is honestly so nice! I highly recommend it. They were able to deliver my gift and even sent me proof which was really nice. It helps a lot when you're from the other side of the world and you want to deliver something to you favourite band or celebrity. The delivery was done on the time requested and the package was so cute! I'm looking forward to doing more business with you guys! Their website is easy to use. They are also very responsive. It was a fast and easy transaction and the flowers were delivered on time. Recommended. Thank you! Fast delivery and quality flowers. Website was straight forward and not complicated to navigate. Made an error on my personal message and they replied quickly to reassure me the error was fixed. Definitely would recommend it to everyone. Thanks Flower Gift Korea have a good services to international fan. I love their services and everything. nice flowers arrangement and decoration. Will keep support them. I have used their service (flower of the day bouquet) back in 2017 for my dad's birthday and he loved it! The delivery was on time and I even got a confirmation email from them.This time, I sent my parents a medium flower of the day basket for their 30th anniversary, and they loved it! Again, I got a confirmation email after the delivery was made. I love how their flower arrangement is so stylish, and how their flowers are so fresh (according to my parents). My mom is an artist and she paints, and she already started painting the basket, obviously loving the flowers so much! 🙂 I highly recommend this shop. I have used their service (flower of the day bouquet) back in 2017 for my dad's birthday and he loved it! The delivery was on time and I even got a confirmation email from them.This time, I sent my parents a medium flower of the day basket for their 30th anniversary, and they loved it! Again, I got a confirmation email after the delivery was made. I love how their flower arrangement is so stylish, and how their flowers are so fresh (according to my parents). My mom is an artist and she paints, and she already started painting the basket, obviously loving the flowers so much! I highly recommend this shop. They were prompt and communication was thorough! Would definitely use the service again! FGK was very helpful and catered to our requests. I appreciated that I can talk to them in English as well. Most importantly, their flower creation is very beautiful. I am very contented with their service and will most likely recommend them. I would highly recommend Flower Gift Korea if you wish to send your love ones or idols in Korea lovely flowers and gifts. Wonderful staffs and amazing services. Beautiful flower arrangements! They are very helpful and easy to work with. I’ve ordered from them several times and they never disappoint! great experience from buying to delivery. the delivery time was not available so i asked and the staff changed the time for me to be able to send flowers time delivered was exactly what i asked for. the very best service anyone could ask for highly recommend !!! I ordered flowers from the United States. Sent to my girlfriend in Seoul. The flower's were delivered on time and of great quality. What surprised me was a personal email from the company representative named Genibie to let me know that they were delivered and received by her mother. I would recommend and use this company again. Excellent service! The website is super easy to use! Very fast responses to all of my questions and concerns. I was a bit skeptical ordering from the States, but Flower Gift Korea assured me my order would be well taken care of. The FGK Bouquet of the Day I ordered was beautiful and delivered on time. Thank you again for sending me the pictures, Kee, the bouquet looked fantastic! I will definitely use Flower Gift Korea again in the future! Had a basket of roses sent to mum and sis for Valentine’s. The process of choosing - ordering - billing could not have been more straightforward. I forgot to include the postcode in the delivery address so I sent a message via Facebook - the response was thoughtful and well-written. The delivery arrived a tad later than expected but this was easily overlooked because the address was in Incheon, the special request was honoured and the basket was an absolute delight to its recipients. Overall, great customer service and an excellent provider of high-quality floral arrangements. Will be my go-to florist (in Korea) from now on. excellent attention, commitment, time and beautiful products. I will definitely work with them in the future. thanks for everything. A very professional florist with an amazing products to making sure my request is fulfilled for loved one!❤️ The deliver is great and provide me photos of the final product and delivery process. Their services is very well detailed, and making the order process really easy and smooth. It is a pleasant to shopping experience with them. Anyone whom needed Korea floral service can be trusting using their genuine and awesome service! 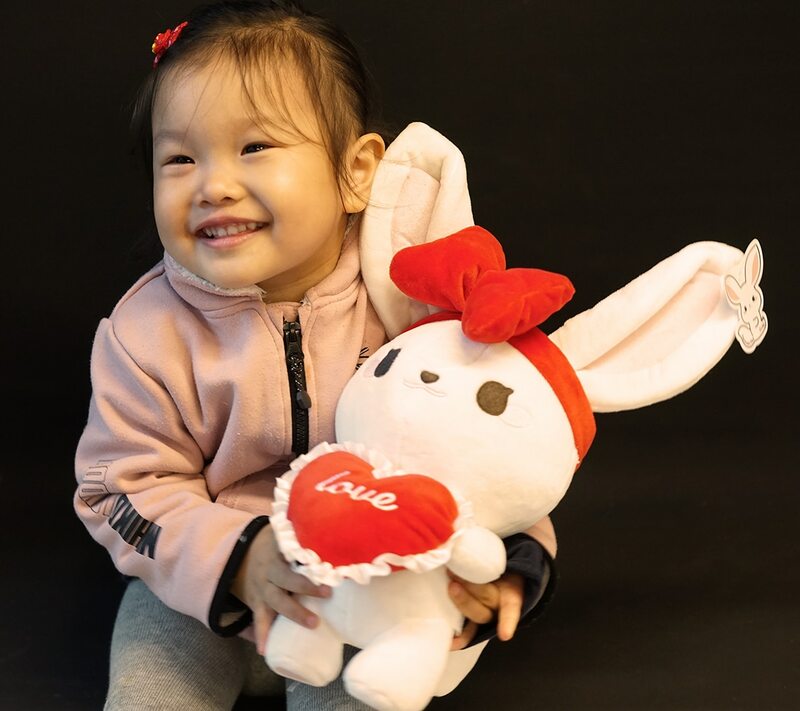 We ordered a Mocha Chiffon Cake, a Lily Rose Bouquet, and Puffy the Penguin stuffed toy for k-pop Idol Momoland Daisy’s Birthday on Jan 22nd. The website was easy to navigate and the items have adequate photos and descriptions. Ordering processing was also easy. They allow paypal for payment so that was very convenient. We received prompt email replies and all our requests were fulfilled. We were also glad to receive photos taken inside the building and not just merely dropped outside the establishment.The bouquet of flowers was gorgeous. Puffy was cute!! The personalized card also was a good addition as it allowed us to add our logos. If there was something missing, it would have been nicer if a photo of the cake was included. but overall, we are very satisfied. We give it 5 out of 5 stars.Thank you for your items and service and we’ll use you again in the future. Momoland Daisy was happy to have received the gifts. Last year I bought a bouquet from Flower Gift Korea and my girlfriend loved it. They did a really good job assembling the bouquet with a really good match of flowers. They also have a really awesome support. Prompt response for my questions and friendly staff. The flowers were delivered on time and date that I choose. I am, definitely, going to use their services again. Flower Gift Korea did a wonderful job when we wished to send our daughter a basket of flowers and candy. She lives just outside Seoul and we live in the United States. Flower Gift Korea made it so easy to order and deliver just the right bouquet from half way around the world. The flowers were lovely and came promptly. Great website with terrific English and wonderful service. We'll use them again and recommend them highly! Thank you, Flower Gift Korea! prompt response and super fast delivery despite weekend. 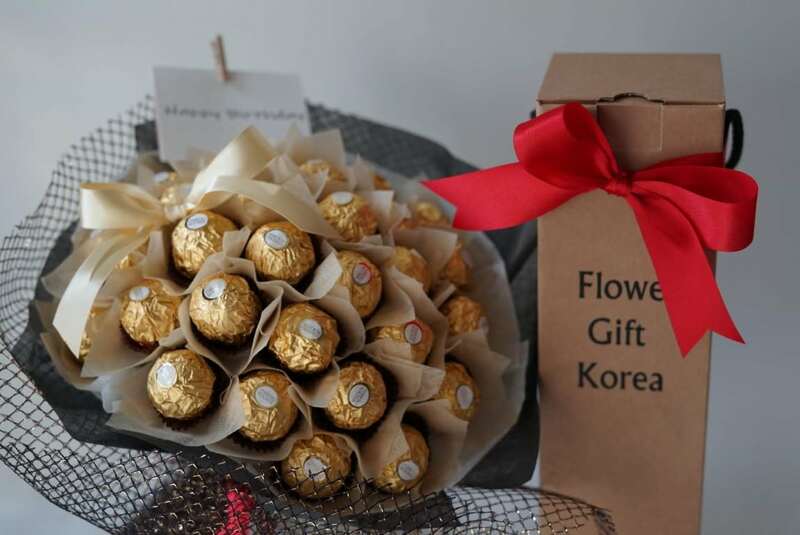 Flower Gift Korea is a very professional and friendly floral service provider. They help me sent my package in the set schedule. They are very attentive to making sure my request is fulfilled. It is a very happy shopping experience with them. People from all over the world whom needed floral service to be delivered to Korea can be trusting using their genuine service.! Thank you for the best service! ❤️ highly recommended. Very proffesionals, excellent products and service!! Thank you for a very smooth transaction. Definitely recommended! Will order again next time, Inshallah  Thank you again! I'm leaving another review because this place is downright awesome. No other words. If you need it delivered it will get there on time. I am in the US and I had reservations at first. But every single time they help me out. Especially translating English to Hangeul for my in laws. I have required their professional services numerous times.....and each....and every......time.......they really go above and beyond. Their customer service is immediate and extremely helpful. Thanks again for the help. I’ve used flower gift Korea probably more than 5 times now.Not only is the service excellent but I also think the high standards of the flowers has gotten even higher. 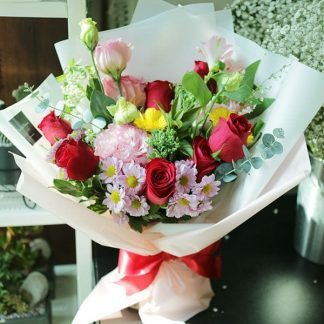 I ordered a flower bouquet for my best friend, from Ecuador, the web page display their services very well detailed, and making the order is really easy. The bouquet arrived the day and time that I chose, and it was beautiful. I wrote them to know about the order and they responded really quick. Excellent service. Excellent Delivery. Super happy, Amazing Job Guys! Very helpful, great service, fast and the pictures of deliveries are amazing. Thank you for caring!!! We are so happy with the service! The flowers were so pretty. And the service so professional. Plus our bouquet was delivered to the actor and his manager (Soop) shared a picture on his instagram. Thank you so much for making this possible. I highly suggest FlowerGiftKorea. Excellent service with a great collection. Flowergiftkorea is a very professional shop. 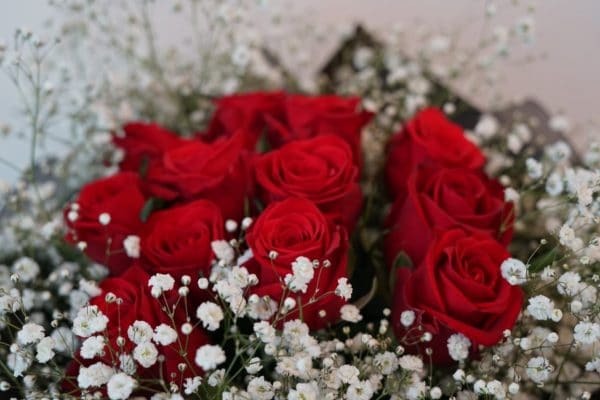 I search online for different flower gift delivery services and this one popped up in my sight because of its pretty design and clear introduction of its services. The results showed that my choice was very wise because I ordered a flower basket to my beloved Korean actor for his birthday and they delivered it on time with perfect presentation and updated me with nicely taken photos. It was a pleasant deal, I will definitely order again:) also the ordering process was very smooth, with timely responses. Highly recommend if you need to send gifts or flowers to someone who lives in Korea! I ordered a bouquet of flowers and a stuffed toy to be delivered to a Kpop agency in Seoul for one of their artist's birthdays. The delivery was made in good time and was handed to the recipient in person. The bouquet was beautiful and the toy looked to be very good quality. The group seemed to really enjoy it.The customer service was amazing from start to finish and I will definitely be using them again.Thank you so much! I wanted to send my friend in Seoul a nice bouquet of flowers but I couldn’t find any other store with nice modern designs. Excellent customer service + quick response on Facebook + same day delivery + bouquet looks exactly like the picture. Thank you so much!! 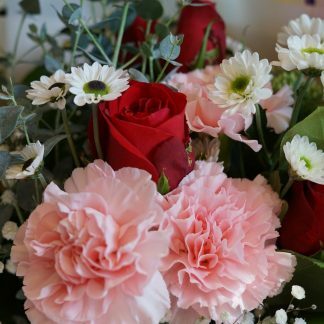 I was searching through several online flower shops and was hesitant to use certain stores as my Korean was limited and I felt like the quality of the flowers boasted on several sites were questionable.I then found Flower Gift Korea and I saw their reviews and decided to give them a shot. They were very prompt in their responses and thoroughly explained the process to me. Ordering through their website was fairly simple and when I inputted the wrong delivery area they were helpful in pointing me in the right direction. The flowers came freshly delivered and beautiful like their picture. Thank you so much for helping me bring a little joy from thousands of miles away to my mother! Appreciate the service and the feedback after delivery. You guys are doing great! My daughter is in South Korea working and I was able to order these lovely gifts to have delivered to her for Easter. I ordered and they delivered the same day! The quality of the products is amazing...they even wrapped all the presents!! Their service is beyond outstanding and I will definitely be using their services again. Thank you so much! This made her day. They made both mother and daughter very happy! Wide selection of flowers and products with fast delivery times. Will purchase again from them. Thanks! I was looking for a very specific service, and Flower Gift Korea fit the bill very specifically! I am in the US, and I wanted to send flowers to Korea. I was looking for a flower shop in Korea that could provide customer service in English, would accept American currency, and would be responsive to my questions. Flower Gift Korea fit the bill! Moreover, the recipients loved the flowers, which were beautiful and high-quality. I plan to use Flower Gift Korea's services in the future. I'll be forever thankful to Flower Gift Korea. The chocolate bouquet and penguin stuffed toy recently delivered to my girlfriend was lovely. You're a lifesaver! You just got here a loyal customer. The only problem is that I cannot convince them to expand their service to Japan and in Europe. Propably they want to advance maintining their amazing quality. In that case I support them more than ever. Abstract : They are just great and they respond as only a friend would. Support them!!! Greetings from Netherlands! Beautiful products and excellent delivery service! Truly recommend it for special events or for special people in your life � Thank you! Excellent experience all around. The flowers were left with the security of building where my friend lives. She was also texted to let her know that there was a package waiting for her. The flowers were beautiful and lasted for over a month!! I used their services and found them facilitating and complying with their customers' requests down to the minute details. I will be using their services in the future and strongly recommend. Thank you so much for your very fast, reliable and friendly service. This is my first time sending gift basket to someone haha, so I'm a bit worried. Thank you again for such a great service. two thumbs up! I had a bad experience with another flower place in Korea. When I came to Tony and his wife, they were very accommodating and understanding. Even though they were very busy because it's the last day, they listened to my request, made some very incredible recommendations, and they delivered it without problems. The flowers are reasonably priced and my girlfriend loved them. They definitely deserved a 5 stars in both services and qualities. I for sure will come to them first for recommendations in the future. This is a gem in Seoul so don't miss out. Happy New Year to you Tony and your wife. Thank you. I ordered some flower and presents for my friend and they delivered them on the same day I ordered. They have fast and convenient service as well as great products. Thank you very much ! Hands down the best service in Korea (possible in the world!). Polite. Prompt. Attentive and willing to go extra miles. Flowers are gorgeous. My man got the flowers within 2hrs after ordering very last minute on Christmas day! Needless to say, I will be a regular from now on. Thank you so much. 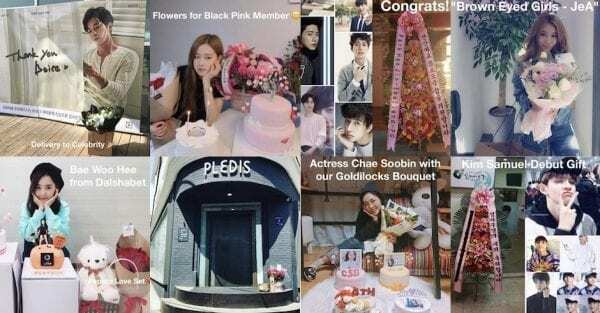 Flower Gift Korea is a true gem for us who handle a Korean celebrity's international fansite (we are based in the Philippines). The whole process from placing an order & payment to delivery was well-handled. They respond to messages in a timely manner. On top of it, they also helped us take photos of our gift when it was assembled in the shop and during delivery. The flower basket of the day arrangement was so beautiful, it’s a shame we couldn’t see it in person. We are very grateful to have this trusted online shop. Thank you so much! We look forward to more transactions with you in the future. Update 2017I approached Flower Gift Korea for the second time during my recent trip to Seoul and was very happy with the suggestions for Flowers I needed to hand out individually at a dance event. They helped me with good suggestions and kept my request on budget. They also accommodated a special delivery request. Thank you again for your consistent great service!Thank you for such a great job! This was my first time sending flowers overseas and was worry about having direct communication with the flower shop as well as requesting modifications for the arrangement, ordering a gift, and coordinating the delivery under special circumstances. It was all easy and efficiently done. 감사합니다! I really happy that I have found flower gift korea! They are fast at responding, gave good recommendations and made communication easier! They really helped us, overseas fans easier to deliver our love to our idols! Really appreciated � Highly recommend to all friends and family! � Thank you! 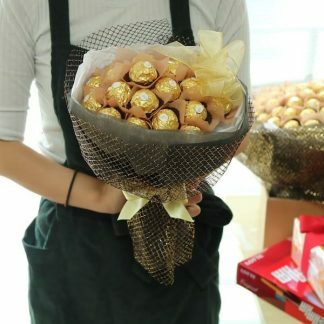 Best website to look for flower/cake/gift deliveries in Korea! I looked thorough so many but they were the most accommodating and SO helpful and responsive! My friend was really surprised when she received it! I gave the wrong address and they still delivered it after getting the right one from my friend, while still keeping it a surprise. Love you guys so much, I will definitely return for my next order! Ordered flowers for my wife's birthday the night before. As per my request, they were delivered after 5:30 pm and completely caught my wife off-guard. Probably could've used a Korean language service, but it's certainly nice to have an English language option. Was also nice to get a confirmation e-mail from Tony after the flowers had been delivered. Having the option to add a bottle of wine was also a nice option. Thank you Flower Gift Korea for the great service and excellent quality. I have ordered a flower bouquet and requested its delivery for a Sunday, there were no problems at all. The flowers looked exactly as they appeared in the image and the bouquet had a generous amount of flowers. I am very happy that I can use this service to make the distance closer to my loved one. Kam-sa hap-ni-da! I will definitely use your services again very soon! My best wishes from Italy and Palestine! Super straightforward website and ordering process -- and the gift was EXACTLY as described. The recipient loved them, and FGK kept me apprised of status the entire time. So cool that you can make the delivery happen so effortlessly from halfway across the world. I'll definitely use them again for all my Seoul based gifts! It was very easy to place my order from the US and pay in USD. The recipients received their gifts on time. The process was so smooth and Flower Gift Korea let me know when the order was delivered. Thank you! I thought it would be difficult to send my boyfriend a surprise while he was in Seoul for work, but with the help of Tony and Flower Gift Korea, it was simple. Their service was excellent, and my boyfriend was "blown away." Thanks so much! Love how great their services are and the effort in fulfilling all my requests from card message to photo taking. Amazingly they replied me the next early morning after I placed my order at late night which I needed to reconfirm certain things. Though they could not provide a ribbon message but they suggest they could do a proper card message. Most importantly as a fan, we wished our name to be seen clearly in which they did a really good job. And out of my surprise I'm quite delighted as they had use a heart shape standee for the card. I also loved how they would clarify with me once again in regards to the changes in my message. Friendly and English spoken 🙂 Thank you FlowerGiftKorea!! Thank you to Tony and the team at Flower Gift Korea for expediting an order for one of our employees in Korea who went above and beyond. The online ordering process was easy and I received a prompt notification once the order was delivered. Would highly recommend for any US based company sending flowers, etc. to someone in Korea. Thank you for the most beautiful arrangement sent to family in Seoul ! Highly recommend you to anyone quality service and beautiful arrangements ! The first of many ! Cannot recommend this place more highly. From start to finish, Tony was very professional and attentive to all of my requests. The flowers arrived on time and looked amazing! It has never been easier to send flowers internationally to Seoul. I ordered a birthday gift for Jea of Brown Eyed Girls, and as usual Flower Gift Korea showed me great customer service and care! The flowers and gift box were beautiful and Jea showed her appreciation to them on instagram, when she liked the post talking about her gifts! This isn't the first time I've purchased from Flower Gift Korea and it won't be the last! Excellent communication. Excellent to work with on everything and Everything was wonderful. I will be ordering from them again and again from now on. Great service and website gave me the confidence to order from overseas - a birthday gift for my sister when she's visiting Seoul, even though I have never been to South Korea. She was very happy with the surprise. Thank you! I sent flowers from Canada with ease. They delivered them at exactly the time I requested but they had to leave the flowers with Security because the recipient wasn't available. They made sure to explain the situation to me right away so that I could make sure my wife received them. Thanks a bunch! Handy website and excellent selection of flowers. Delivered to the satisfaction of all involved! Excellent service, quick and reasonable. Perfect for anyone living in Canada or the USA who wants to send someone in Korea a gift. Thank you! A great shop with great customer service and fast service as well! Not only was I pleased with how I was treated, but I was also pleased with the product itself (I ordered a chocolate bouquet. )I will definitely be ordering from flower gift korea again, and would recommend ordering from this store to anyone who wants to send something beautiful to someone they love! Very fast and reliable service and very accomodating with custom orders too. Will definitely be using their services again! I am very pleasure with the customer service. All I wanted was to send flowers to my loved ones in Korea during a particularly challenging time in their lives. I searched many websites and spoke to multiple people and apparently it is near impossible to send gifts from Canada to Korea in a way that is fast, safe and affordable. I was frustrated, discouraged and very disappointed. Finally, when I was ready to give up, I found Flower Gift Korea and read all of the positive reviews and recommendations. I was cautiously optimistic, but decided to go through the check out process, expecting to hit more barriers. I was instantly surprised with how easy it was to navigate the website and select my purchases. The website was clear, well-designed and in fluent English. I did have a few questions so I messaged Flower Gift Korea through their KakaoTalk account. Even with the time difference, they were extremely prompt and courteous with their replies, and it was instantly clear that they valued building a positive relationship with their customers. I placed my order and was assured that I would be notified once the delivery was made. Of course, through a funny mix up, my recipients were not home (surprises don't always work out), but Tony from Flower Gift Korea took extra care in ensuring that my order would still be in impeccable condition, and that it would be placed in a safe pick up location. My family received the gifts the very next day and were pleasantly surprised by how perfect the flowers were. I cannot thank Tony and Flower Gift Korea enough. It made me so happy to send comfort and love to my family. It was the next best thing to actually being there with them.I highly recommend this company to anybody who wants to send flowers and gifts to loved ones abroad. They are safe, reliable and their customer service is one of the best I have ever experienced. Thank you, Flower Gift Korea! Thank you for the excellence service rendered. Will definately recommend to others and come back again in future. Excellent service! When my requests weren't very clear, Tony got back almost immediately after payment to clarify things. Everything promised was fulfilled to the dot. Also, their English is impeccable, which makes the whole process so much easier for those who don't know Korean. Thanks! Very fast and very nice flowers. Looks same like on a picture. Thanks again for your service. GOOD JOB! I'm very happy with the service I received. Questions were answered promptly via e-mail and Facebook, delivery was on-schedule, and the flowers were beautiful. I definitely expect to use them again. So when it comes to trusting online sellers I'm at the very suspicious end but due to other people's reviews I decided to give the flowergiftkorea a try. I contacted them via facebook messenger, replied within less than 5 minutes! The deliver was supposed to be at 12pm, but I had a situation where I needed the delivery before 11am, they agreed and they managed to delivered before 11am. Super great customer service and in English too! Overall would highly recommend to all others! Thank you so much for helping me make my girlfriend feel special today! I have ordered flowers from Flower Gift Korea at multiple occasions from overseas. They are extremely reliable, the delivery is always on time. The service is fast and excellent and all the staffs can communicate in English perfectly. Highly recommend if you try to order flower via internet from oversea. A+! GREAT service!! Wonderful communication! Truly would place another order! I can't express how much they did!!! Thank you so so much! Our fanclub "Minoz Mexico" sent a basket with 55 red roses and champange to Lee Min Ho for his birthday. Tony Choi responded quickly and was always kind. We really apreciate your work. We are really happy with your service.Thank you! My mom loved her birthday flowers! I ordered the medium flower basket of the day and requested a more colorful arrangement. The basket exceeded my expectations (photo in comments) and delivery was on time and professional. I found Flower Gift Korea's website to be the most visually appealing with reasonably priced gift items. I highly recommend to anyone looking to send a gift to someone special in Korea! The service is really good and quick. The owner always reply my question as soon as he can with a solution. They also send us the picture of our gift when they send it to the customer. Really recommended, will definitely buy here again next time. Thank you so much. Shopped online and was very easy with good selection with reasonable prices! Delivery of my gift to my friend in Korea was quick. I will definitely use them again! I really recomend this place if youre planning on sending flowers or other gifts to someone in korea. It was hard to find a place I could trust, but this one delivered what it promised in time and as expected. So when it comes to trusting online sellers I'm at the very suspicious end but due to other people's reviews I decided to give the flowergiftkorea a try. My parents moved back to Korea and we still like to celebrate American holidays and special occasions long distance. Well Mother's Day is coming up and I really wanted her to have some nice colorful flowers delivered to show how much I appreciate her. I chose a beautiful flower basket and was so relieved with the pricing! I ordered them around 1pm West Coast US time and they arrived at 1pm Korea time (same day) please note Koreas time difference when ordering. Well mom called and sent a picture and the flowers look exact to what they advertised on their website! This will be my go to flower gifting place from now on. I also really appreciate the fast response to my questions after I placed my order (I contacted them via facebook messenger). Super great customer service and in English too! Overall would highly recommend to all others! Thank you so much for helping me make my mom feel special today! Hi Thanks Tony, everything was perfect. And the timing wonderful right in before she had to go to work. They certainly deserve five stars and I will use this service again. The flowers were beautiful, thank you again! I wanted to send a surprise birthday gift to my friend in korea and chanced upon this shop. Despite been quite late when i message them on fb, they still managed to respond to me. Very much appreciate it. Tony also wrote email to me when my gift was delivered, informed me that my friend was not present to receive and told me to inform my friend instead. Definitely would recommend this to people who want to send gift to their friends or family. They always have beautiful and pretty gift options for a good price. Also, customer service is fantastic! That's a big plus for me since arranging for flowers can be difficult overseas. If I ever have a question they are easy to contact via KakaoTalk and respond quickly. This has been the easiest way to send flowers and gift baskets to family in Korea. I hope they are around for a long time. I believe I will always use them to send gifts to Korea. Thank you! Tony and his crew took really good care of my flower delivery. Efficient, beautiful flowers and courteous. Greatly recommended. Such an excellent experience ordering from you and getting the delivery done in a timely manner. Highly recommend you! Delivery was on time and my wife loved the flowers. Thanks! Great service! Thanks to the staff, especially to Tony for helping me to order gift to my sister from Azerbaijan! Very responsive and reliable shop. Made my order in Singapore and to deliver in Incheon. Order was made 3 days ago and it was delivered on time!They speak fluent English therefore there wouldn't be any communication barrier for international orders.Good job guys, will definitely order more flowers or gift for the next occasion! Tony was incredibly helpful and made setting up flower delivery from the other side of the world very easy! Fabulous and very professional service! I've been ordering flowers from overseas for a friend who was staying in the hotel. Flower Gift Korea has resolved all the issues with the hotel which couldn't find the guest first. Tony, who was looking after my order in person, was very professional to persuade the reseption to accept the bouquet and find the quest. I've been emailed every step my order has been going through. Immediate replies to all my emails within 2 days! Awesome! I'm impressed with the service! Thanks a lot! We send a gift from Mexico to our idols in Korea. Service is so great!! Thank you so much!! I would recommend this store to anybody,they are very courteous and follow customers instructions very well and beyond. Very beautiful flowers, super reliable and responsive! I had went to Korea for vacation and found Flower Gift Korea thru Google with high rating and wish to give it a try. Bought a flower for my girlfriend and delivery to my guesthouse on time. The flower is nice and the service is great. Highly recommended. Great service and quick responses from costumer service! I have ordered from other shops in Korea as I have Family that lives there. This shop has the best prices and very reliable delivery. Very impressed. I wanted to send my daughter some flowers to congratulate her on the start of her scholarship year at Korea University. I added a cute toy and she loved everything. The flowers were gorgeous. Thank you so much! Although the flowers were delayed, their customer service was amazing. To me I value customer service highly and this is true to say that they know how to value that. On top of that the flowers that arrived were amazingly beautiful. Highly recommended to people. First time sender from the US to Korea. Very friendly staff and timely delivery. Thank you guys. Keep up the awesome work! These guys were great! Living outside of Korea, these guys really went above and beyond, helping me get these flowers to my girlfriend. This is a real review. I've ordered flowers before from various sites. Im confident that my future purchases will be from this Flower shop in Korea. 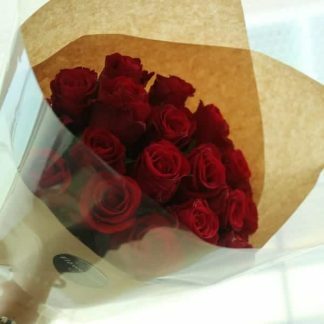 40 beautiful longstem roses were delivered without a problem, directly to my girlfriend. When I had a question, I sent a Facebook message through messenger, and even with the time difference from where I was(Canada) (It was between 4-5am In Korea) Tony responded and reassured me that they received the delivery address to where the flowers were to be delivered. Feels like a local neighborhood florist. Support your local small businesses. Thank you Flower Gift Korea! Truly pleased with your services and Flower arrangment. Very attentive and the service was perfect. Completely recommended, definitely I will send flowers with them again.Thanks so much from Mexico! Simple, Fast & Reliable.Flower Gift Korea will ensure that you've got the best quality flowers, incredible design & quick delivery.Thank you, I will definitely use this service next time. We ordered online from Canada: a snack basket as a birthday present. The basket arrived where and when we asked, no problems. The recipient was delighted, sent us a photo. 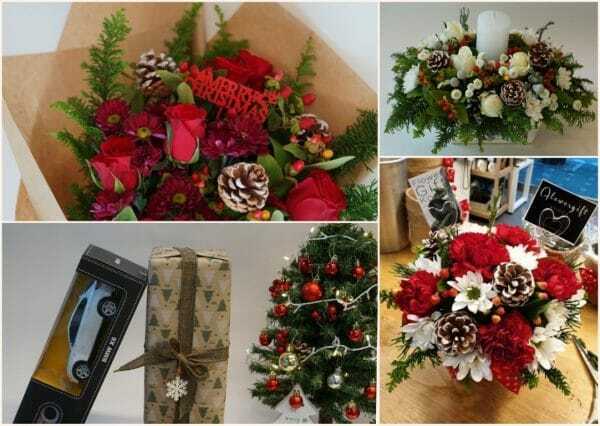 We would gladly order from FlowerGiftKorea again, and recommend it highly. Thanks Flower Gift Korea for the efficiency service as I thought it might couldn't make it due to I make this ordered quite last minute. Thanks for all the effort, my friend received the gorgeous bunch with surprised and exhilarated. Definitely will order more in future, best choice ever. Thank you so much for the good service FGK. Will definitely use your company for another delivery. One of a kind Customer Service as well. FGK deserves not just a 5 star but a perfect 10. More power! This was a great experience! I accidentally provided an old address and Flower Gift Korea found the new one for me and made sure the gift was delivered.Thanks so much!!! Great service and dependable. Would use them again. Amazing Service!! I sent a gift box from Mexico with just a few details about the address and it was delivered perfectly! Thank you!! Flower Gift Korea made it so easy for me to send flowers to my grandmother in Korea! I was thoroughly impressed with the promptness in their response to queries. Receiving a picture after delivery was also a nice treat! I am so happy that I found Flower Gift Korea. Not only were their prices about 1/3 of the competition's, but the customer service and ease of use was amazing. I could not believe that they wrote the message I typed to the recipient by hand on a nice card for free. They also managed to do same day delivery after I barely missed the cutoff time. Thank you so much for your service!! Great service- I was impressed that they managed to deliver a lovely bouquet of flowers to my mum on her birthday! Tony was very helpful and replied to my messages quickly with any questions I had regarding delivery and addresses. I loved the option for the handwritten note. Everything was organised quickly- I think it was delivered within 6 hours of me ordering the flowers- I was very impressed! Just used this service to send my sister a gift package. It was sent to her work place and both my sister and her co-workers were very impressed.It was worth every penny: - Polite and helpful throughout the ordering process. - Convenient payment method. - The gift arrived on time (even with the short notice). - I couldn't contact my sister to find her address, so they helped me find out. - A message I left for her was converted into hand-written message. Flower Gift Korea is hands down the best experience I have had sending flowers/gifts to someone online. They are helpful, honest and want to make your experience great! The quality and care they put into designing their gifts are top notch.Even though my order was extremely short notice, they were willing to go the extra mile to get it completed. The team at Flower Gift Korea speaks perfect English so for anyone out there that needs to brush up on their Korean skills or can't speak it at all you can't go wrong. Tony was really helpful and got my order away same day with last minute notice. Great work! I made my purchase from Mexico to be delivered in Incheon and it was an excellent service. The delivered directly to the recipient and it was a total surprise. Thanks for such a service! I ordered flowers to be delivered to my mom in Seoul. Ordering online was so easy, and my mom absolutely loved the flowers. Thanks for making this as seamless as possible! Great service and beautiful flowers!! !Highly recommended! Sent flowers from Melbourne AU to Uijeongbu.Fantastic service and fast replies via facebook. Helped me thigure out the correct postcode. Flowers were perfect and looked fantastic!Highly recommended!! Great Service ! Beautiful Flowers ! Excellent and Very helpful Thank You Thank you Tony ! ! Ordering presents abroad can be a daunting task (especially for the first time) but this company makes it easy. They were incredibly helpful and swift in fulfilling my request, and it is very clear customer service is their priority. They are undoubtedly one of the best companies I have had the luxury of using - 10/10 will use again. Sent my parents an arrangement for Parents' Day in Korea. Gorgeous flowers and my mum was raving at the friendly and wonderful delivery/customer service. Highly recommend! Such a great family oriented flower delivery company in Korea! They are compassionate and caring people with above and beyond customer service. Two thumbs up guys!! Thank you! 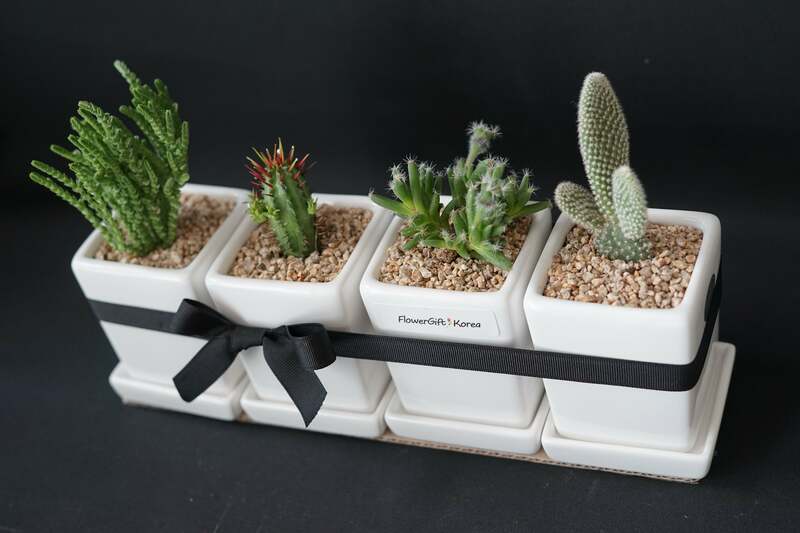 Flower Gift Korea is a small and 100% family driven company. Because of this, we can take complete control of the products we choose to use and guarantee our customers the absolutely best quality. We have deliberately chosen our store location and private residence to be in the neighborhood of the largest flower market in Seoul, which enable us to buy fresh flowers every morning. 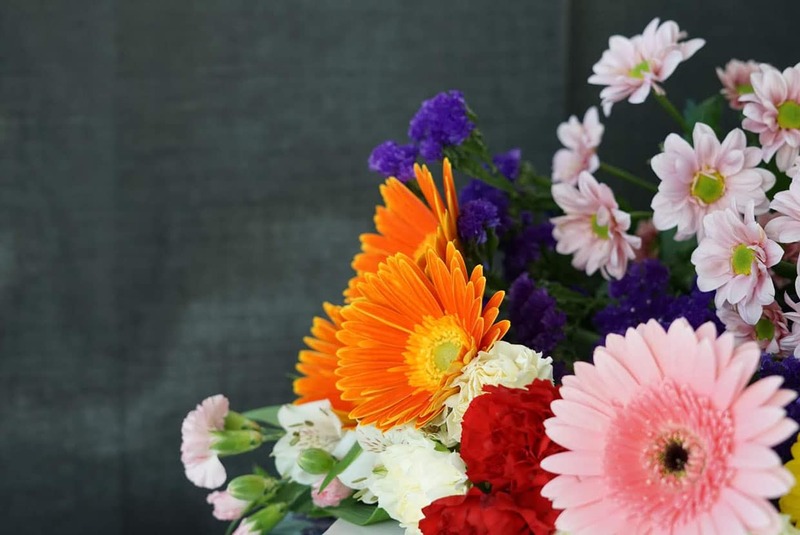 We never stock flowers in our store, so your order will always be made with fresh flowers directly from the flower market. Once you receive one of our flower arrangements, you will not be in doubt. Hand delivery fees Our hand delivery fees start at 13$ and depends on the province. If you need help finding the right province, don't hesitate contacting us and we'll help you. Box delivery fees Box delivery cost 5$ per box regardless of where in Korea it's going. In case you have large items or many items that you would like to send, we may have to charge you for another box. We operate and deliver on Sundays, but the flower market is unfortunately closed. It also means that this is the only day where we cannot get you fresh flowers on the day. 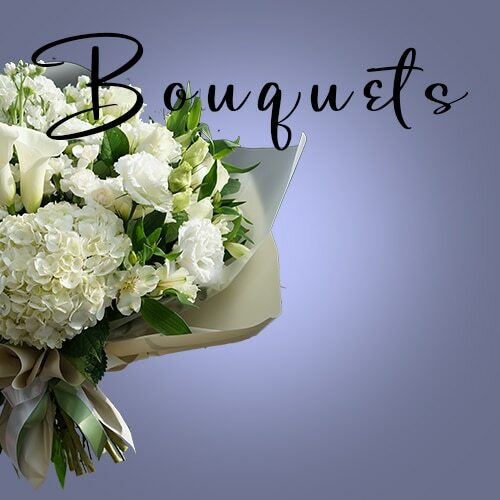 In case you would like a flower delivery on a Sunday, we would therefore need your order no later than Saturday 11AM so we can get the right flowers for you. We don't have set store hours but are typically in the store everyday from 8Am to 6PM, also Sundays. In case you are planning to visit our store, we'd recommend that you give us a call in advance to check if we are there. We love seeing our customers, so if you let us know when you are coming, we will do everything we can to be there.